Last Thursday, the gang and I headed to Aliso Beach. 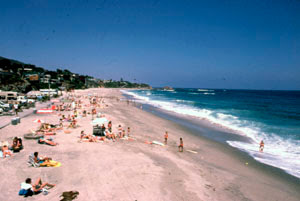 It’s located at the southern part of Laguna and it’s a great little place for a beach day. There is parking but it is limited so I would suggest that you either get there early or in the late afternoon. Also bring plenty of dollar bills. The parking meters only accept dollars and quarters so be prepared. Parking is a dollar an hour. I think this is a great family beach because everything is so accessible. I’ve been to beaches where you have to trek down for a ways or there are no restrooms nearby but Aliso is perfect because the sand is literally 100 feet away from the parking lot, there are nice clean restrooms with working showers and all this within a short walking distance, which makes it easy to bring a cooler, chairs, etc.. We had a great time and headed north to Downtown Laguna and finished off with some people watching and a great sunset view from the Jack in the Box on PCH. 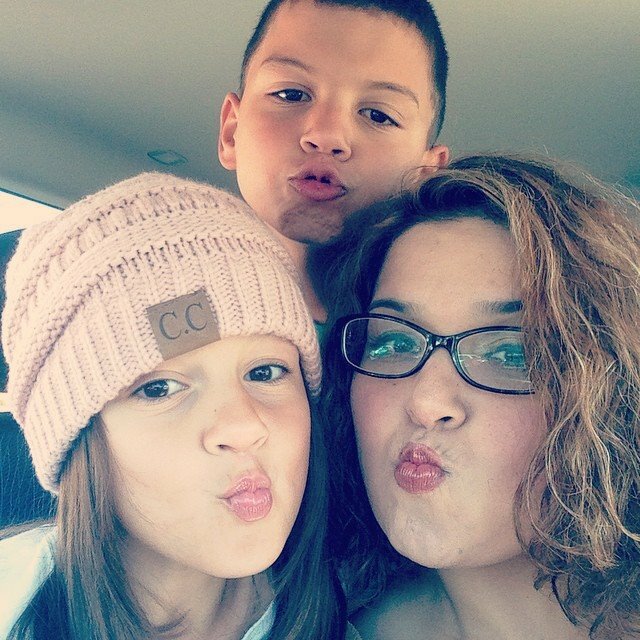 It was a fun, cheap day that the kids will not soon forget. New and improved! Now family friendly! Yes, when DCA first opened there was very little for children to do there. Disney quickly became aware of this and created A Bug’s Land themed after the film A Bugs Life. There you can find attractions like Heimlich’s Chew Chew Train where kids will love the oversize eye-candy and getting sprayed with the scent of watermelon! There Tuck and Roll’s bumper cars (slow and gentle), Francis’ Ladybug Boogie (a version of the teacup ride) and Flik’s Flyers (think Dumbo). There is also the “It’s Tough to be a Bug” 3-D movie, which can be a bit too scary for little children. There are also water play attractions, tractors to climb on, agriculture exhibits to interact with and a meet and greet featuring Flik and Princess Ata! Another great area for children is the Redwood Creek Challenge Trail. Note that several play sections of this area have a 42″ height requirement but there are things for the real little tikes to play on also. Nearby is the S.S. Rustworthy which is another interactive water area. If you are careful, you won’t get all that wet. The park also features Disney’s Electrical Parade which plays every night during the summer and Friday through Sunday nights the rest of the year. DCA is open until 9 PM during the summer and 6 PM during slower periods. 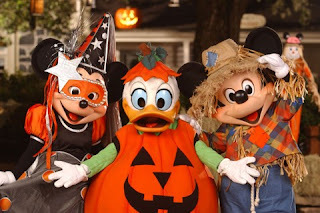 Another great thing about DCA happens every October, Mickey’s Halloween Treat. This is a separate ticketed event that happens on specific nights which means a limited number of people are allowed in. The lines to the rides are super short. Adults and children are able to go trick or treating around the park and there is special entertainment and decorations everywhere. This years dates are October 4, 11, 18, 25, 29, 30, 31 – 6:30-10:30 p.m. and October 5, 12, 19, 26 – 7:30-11:30 p.m.
Tickets are already on sale to the event for annual passholders and Disney Visa cardholders. Advance price is $24 per ticket, regardless of age. Day of the Event the tickets go for $39. Call 714-781-4400 for information and ticket sales. Your children will love this! Vancouver Aquarium Then there is the Vancouver Aquarium in British Columbia. From sea lions to whales to jellyfish it was fabulous! Everything you could ask for from an aquarium and it’s located at…Stanley Park which is one of the most incredible parks in the world. It’s huge and has several other diversions in addition to those at the aquarium These include a miniature train ride, a farmyard, a pool, and a water park, among other things. They have events there all the time as well. And the bus system in BC is so fabulous that you never have to drive. Not just buses, the Skytrain is also a significant part of the wonderful public transportation system there that keeps the city so clean. Altogether a great vacation for a family. Burnaby Library If you like libraries then try finding out which is the absolute largest or most beautiful one for miles around. I always do this in a new place and Burnaby library, right outside of Vancouver, was no disappointment. It is both large and beautiful with glass walls looking out on green outside and over the beautiful architecture of the building inside. The largest in BC is of course the Vancouver Public Library which, oddly enough, I don’t think we ever visited. Hope this is helpful. Enjoy!